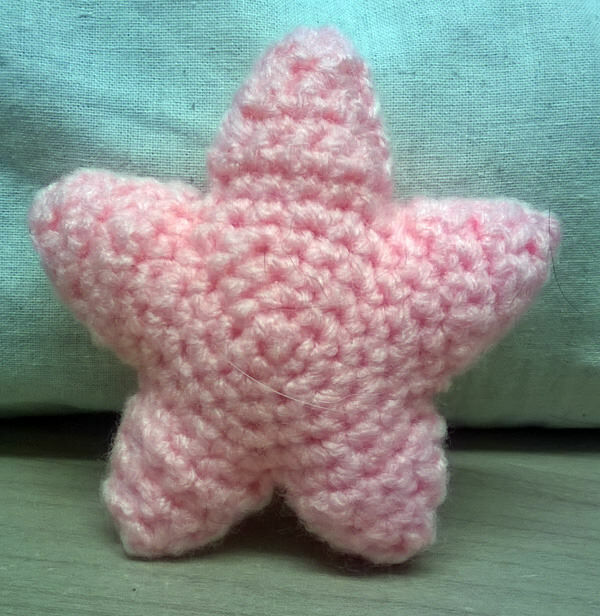 I am loving Amigurumi at the moment and I stumbled across this star pattern on the internet and it is surprisingly easy. I was very impressed and had to share. I think made in pink it would make a super Patrick from Spongebob Squarepants. 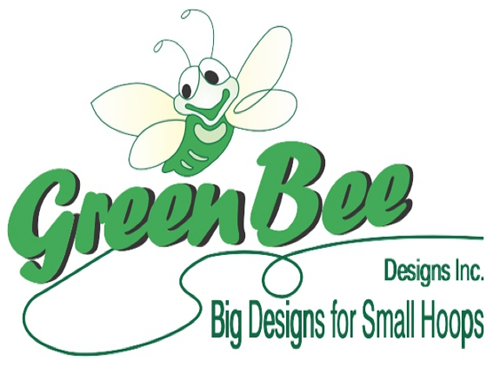 Please check out the internet for more inspiration on Amigurumi, there is so much out there. 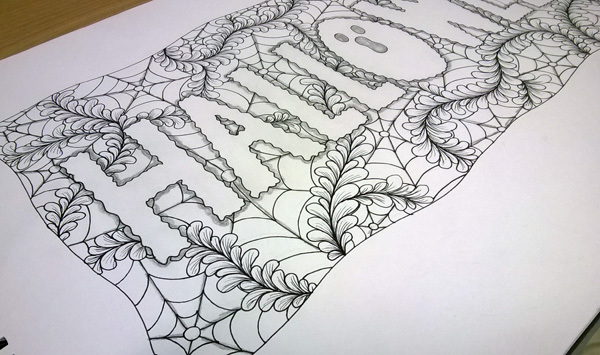 This entry was posted in Amigurumi and tagged Amigurumi on November 30, 2014 by blackflowercreative. I made a picture for my Mum back in the summer using a Michael Powell stamp and lots of flower dies to create a selection of her favourite flowers. 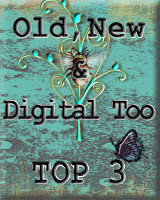 Here is the original link http://wp.me/p385yc-r1 if you missed it. 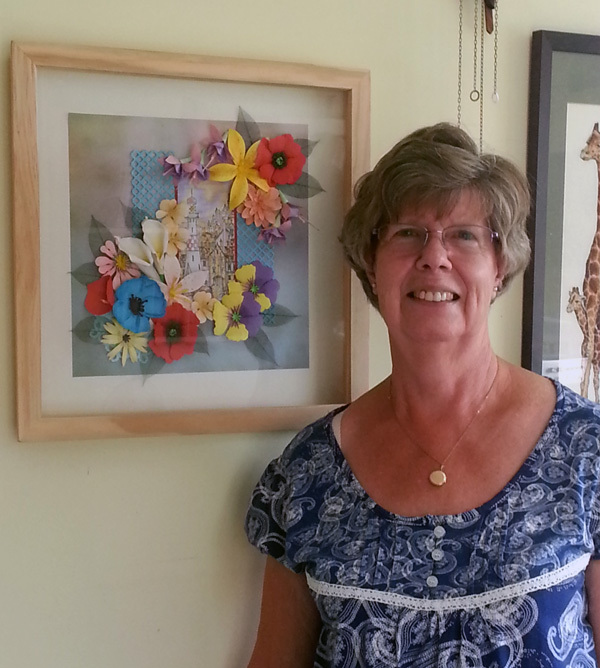 I was pleased that Mum was delighted with her picture and here she is posing with it in its allocated place. My only disappointment was that I made the most amazing Tulips but they were too tall to fit in the box frame. Oh well they are ready for the next project. 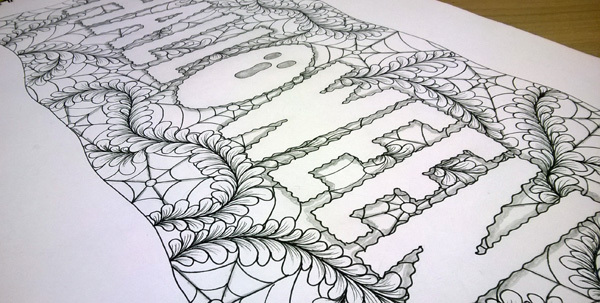 This entry was posted in Uncategorized and tagged Flower dies, Michael Powell, paper flowers on November 28, 2014 by blackflowercreative. 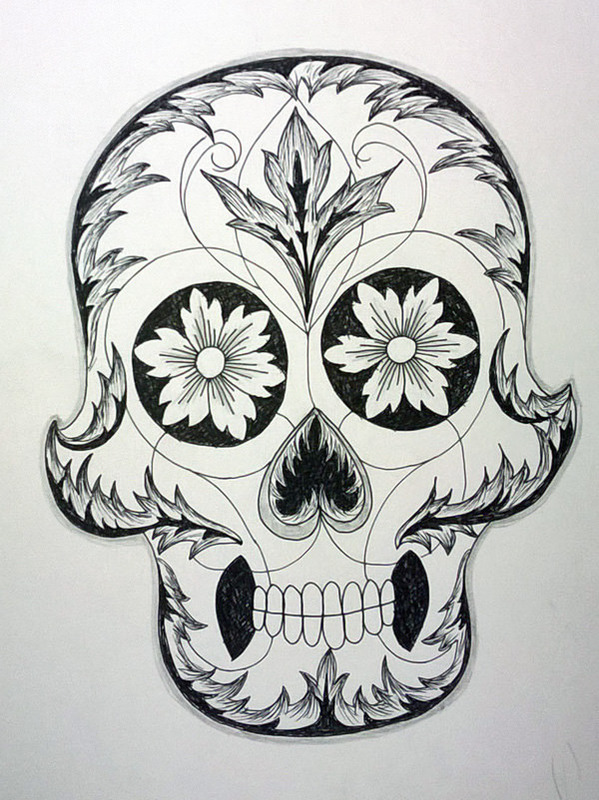 I have always been a fan of William Morris and decided to draw a skull in his style. 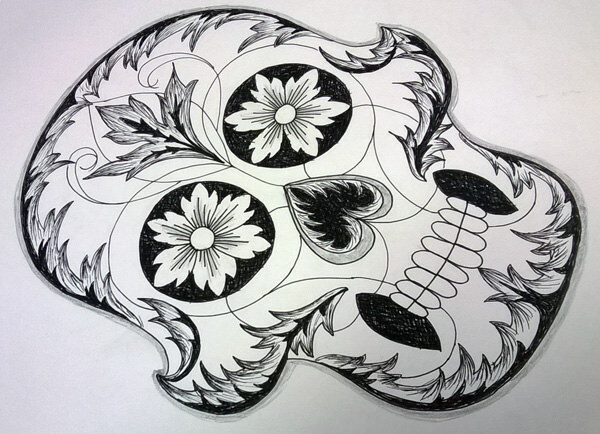 I really enjoyed drawing this one. It’s quite different, combining 2 things that are so different. 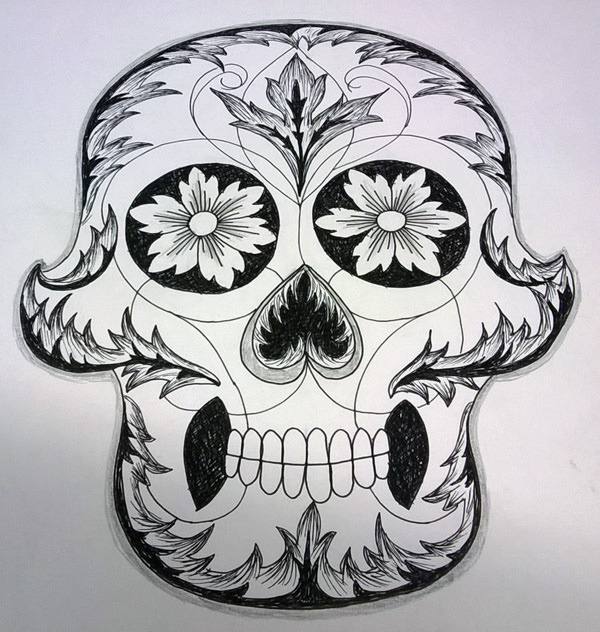 This entry was posted in Doodling & Drawing and tagged Doodling, Skull, William Morris on November 27, 2014 by blackflowercreative. I was recently sorting some photos on my computer into some kind of order when I found a photo of the 1st ATC swap I entered into, which was quite some time ago now and I thought I would share. 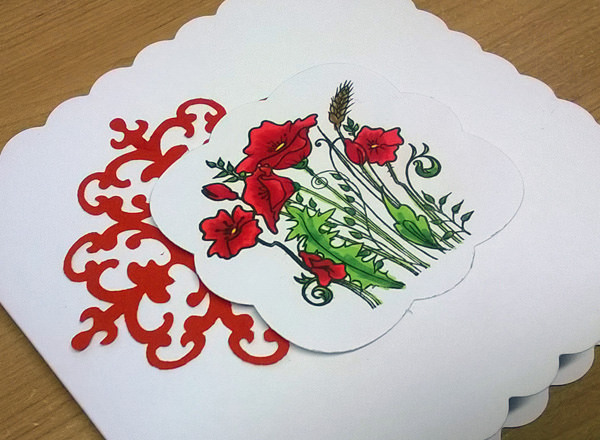 The theme was floral and I used a lovely stamp from Hobby Art. 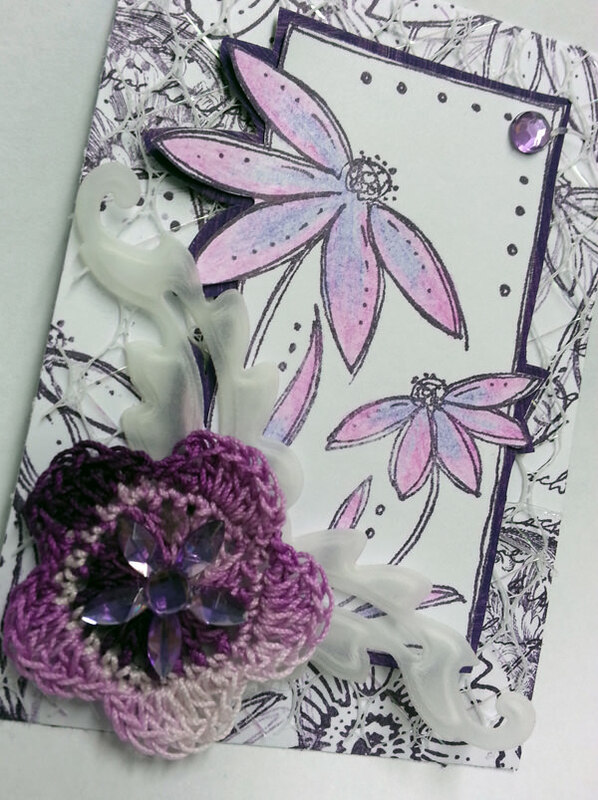 Obviously I created it in a purple theme and used an Aubergine Ink pad from Stampin Up. The crochet flower I made myself using a variegated thread. I really love making ATC’s, they are just enough to task the brain sometimes when a bit of creativity is required. 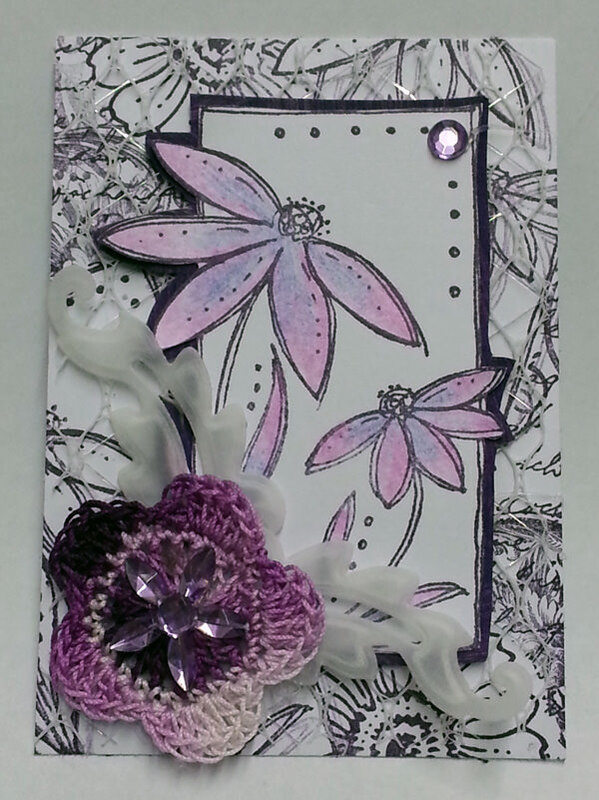 This entry was posted in Twinchies and tagged ATC, Crochet Flower, Floral, Hobby Art on November 26, 2014 by blackflowercreative. I am really enjoying discovering all the different things you can do with Amigurumi and I am really pleased that it has made crochet “fresh” again for me. 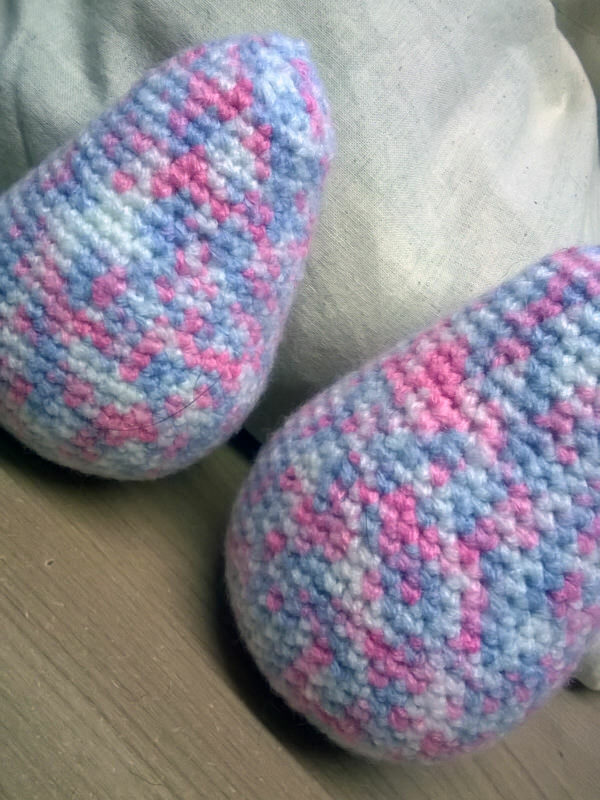 I love to learn new skills and thought that I had done everything crochet had to offer – but I was wrong! My journey into Amigurumi started in the summer with the desire to make a Minion for my boys, this was before I even knew of Amigurumi. I was looking on the internet for pictures of Minions to work from when I discovered that many many people had also had the same idea as me and their results were fantastic. I have since been amazed by all the amazing pictures on the internet and it constantly fills me with enthusiasm to create. Although I would class myself as very experienced with crochet, I have been a little overwhelmed with instructions on the internet and whilst there is tons of inspiration on the internet I thought it would be a good idea to get to grips with basic shapes and start my projects from scratch. My theory being once a shape has been made it makes far more sense and understanding and basic shapes could form the basis of any character or animal I then choose to make. So, in the name of experimenting I have been playing with some basic shapes. My first attempt is at a pear shape which I have noticed has been used a lot. I have also learnt that not only is the shape important but the size of the hook. 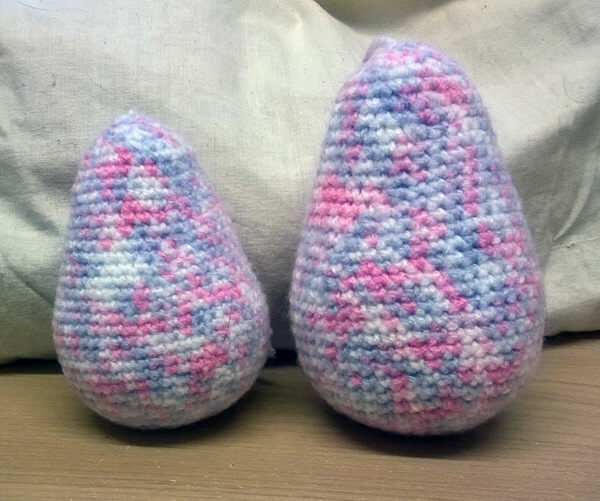 The majority of patterns state the use of a smaller size hook for Amigurumi than I would normally use, this is obviously to make it more dense so the stuffing doesn’t escape, so I played with my basic pear shape using both a 3mm and a 4mm hook. My conclusion is that I like both versions. The larger when stuffed does not have stuffing visible so is fine. On to the next shape. This entry was posted in Amigurumi and tagged Amigurumi, Amigurumi Addiction, Crochet, Pear shape crochet on November 24, 2014 by blackflowercreative. 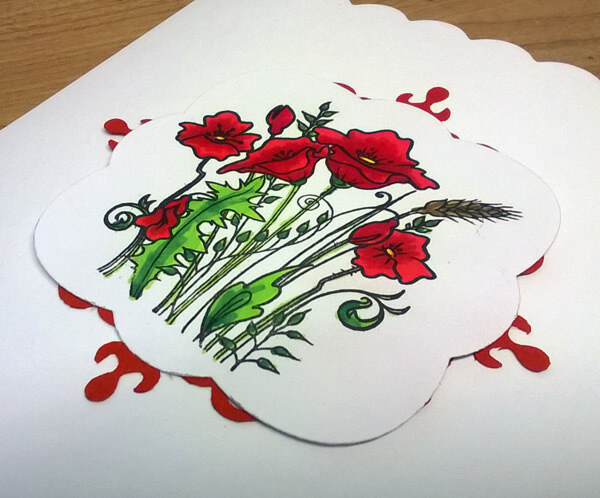 I have been using Poppies a lot recently to commemorate the centenary and I couldn’t not use this lovely little stamp from Hobby Arts. Now a little confession, this card is not stuck down yet as I couldn’t decide how to lay it out. Here are my options…. I would love to hear any comments as I’m a little stuck. Anyhow, I just love this stamp, which I have coloured here using Alcohol Markers. 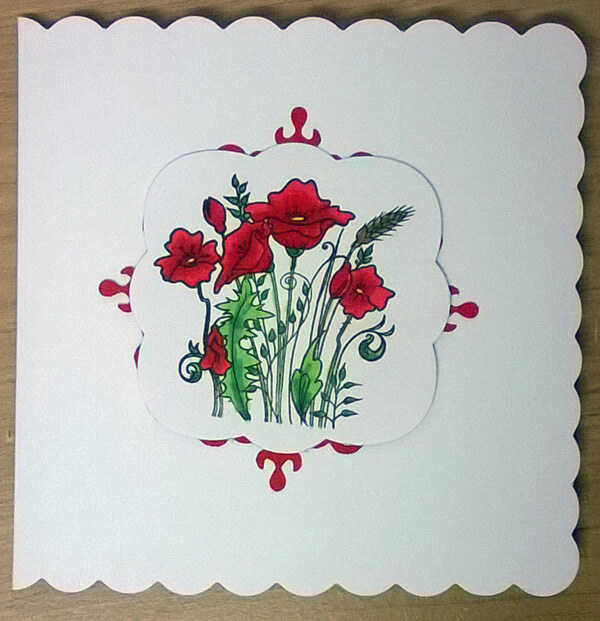 This entry was posted in Cards and tagged Alcohol Pen colouring, Handmade card, Hobby Art, Poppy cards, Poppy stamps, stamping on November 22, 2014 by blackflowercreative. 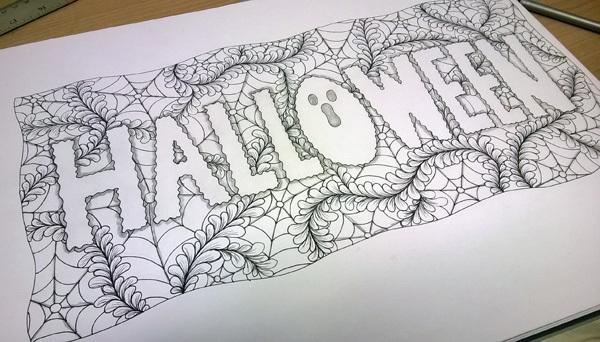 This entry was posted in Doodling & Drawing and tagged Halloween, Zentangle on November 21, 2014 by blackflowercreative.